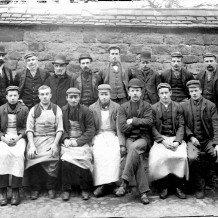 There were 8 shoemakers and 5 shoe manufacturers registered in Daventry in 1874 including the now famous name of Stead and Simpson. These ranged from small shops in the High Street and workshops in back gardens to large factories employing large teams of makers. 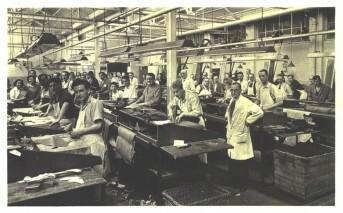 Shoemaking continued to be a major employer and influence on the town into the Twentieth Century. Many can still remember the rush of people in the streets after the whistle on the Stead and Simpson Factory sounded for lunch. The Stead and Simpson’s factory at the top of New Street was taken on by Whites and enjoyed the boom of the 1990s producing Dr Martens and Kangol boots under licence. The factory finally closed and the site became a Tesco supermarket. Daventry’s shoe history and its role as a centre for distribution continues. 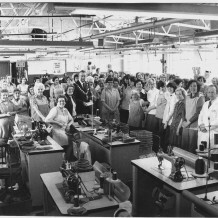 Patrick Shoes was started in 1972 and operated from an old church building in Towcester. 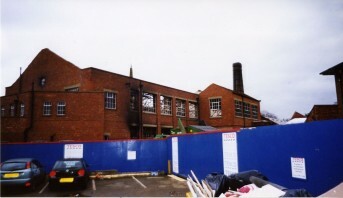 It is now run by the sons of the founder from a purpose built warehouse in Daventry. 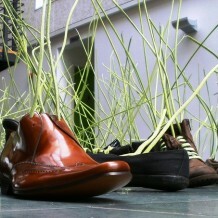 The 23.000 sq foot warehouse holds the largest range of men’s shoes in the country. Over 200 styles and 100,000 pairs are always in stock, ready for immediate despatch. 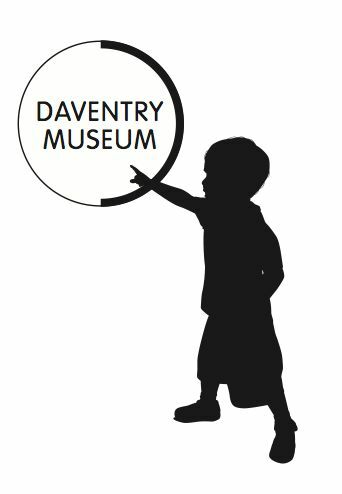 Daventry Museum holds objects and archive material relating to the boot and shoe industry locally. This page was added on 21/04/2013.